We have a marvelous swimming-pool for refreshing of warm temperatures, maybe you prefer a beer at our Quincho Bar, perhaps both? 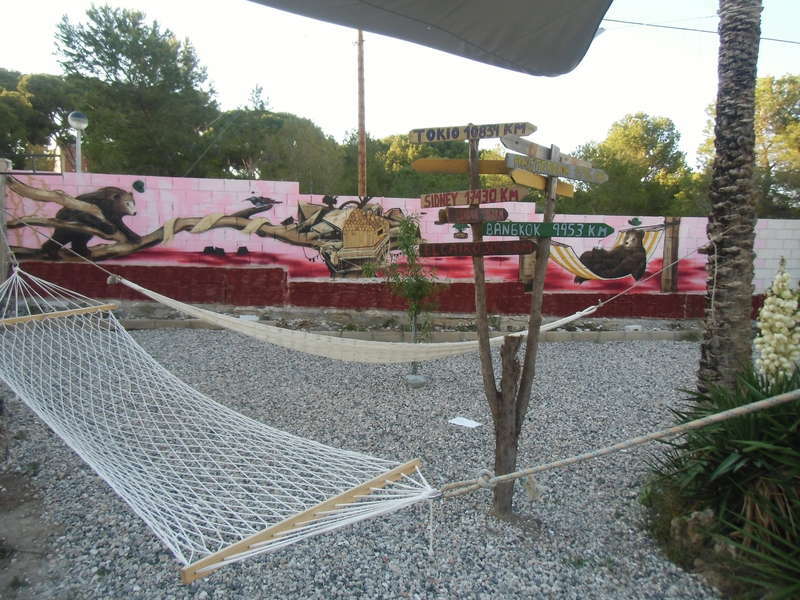 With several relax zones and a big garden with eco-farm, we offer an unique hostel in Alicante, what are you waiting for meeting us? Every night big parties with differents theme. Paella party, pizza party, etc. 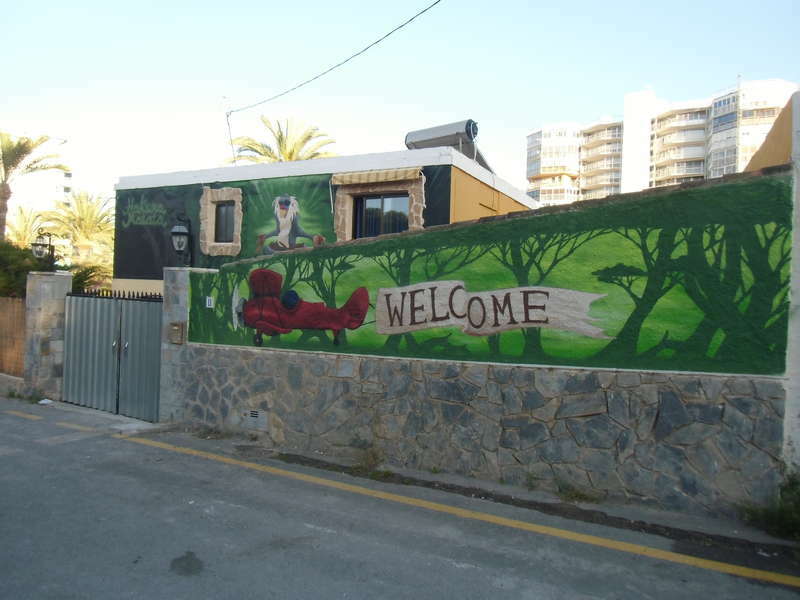 Hakuna Matata is less than 2 minutes walking to the best beach of Alicante. 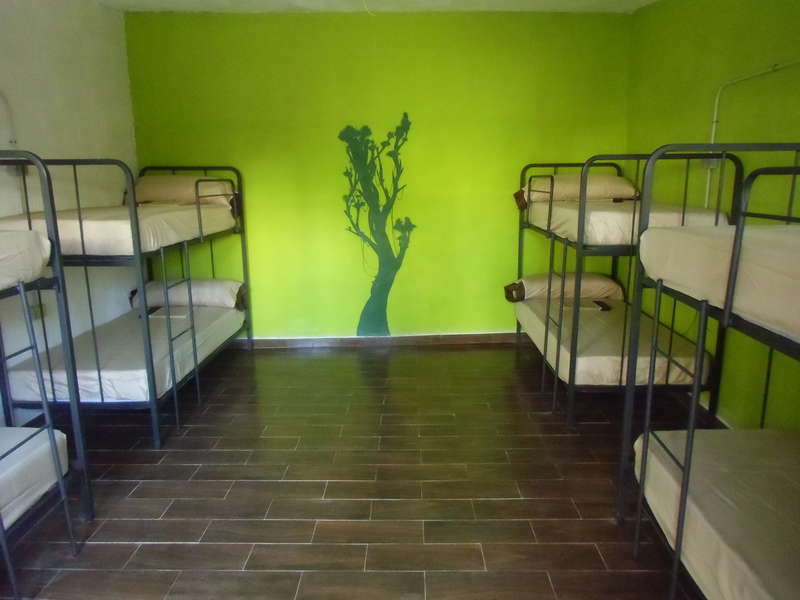 We are 50 meters from the tram stop Salesians and 200 meters from the bus stop Salesians. You have supermarket, pharmacies, parks, banks and a lot bars and restaurants near to the beach. Check in from 13.00 if you arrive before, you can stay in the hostel.